Rummy and Poker both are globally played card games with a huge fan and player base. Most card game aficionados try their luck on at least one of them. 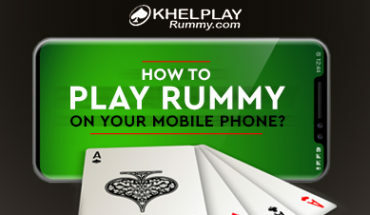 Over the years, the game of rummy has evolved and many versions became popular. But one variant that is dominating presently is the Indian Rummy. Indian rummy has many variants like Deals Rummy, Points Rummy, Pool Rummy, and Gin Rummy. Similarly, poker too has witnessed visible changes over time. The two most widely played poker variants across the globe are Texas Hold’em and Pot Limit Omaha. Both Rummy and Poker have dealers who play a vital role. The dealer is the one who deals the cards to begin the game. In poker, the dealer keeps a check on the pot amount and whether the rules are properly followed by all the players. Players can fold anytime they want in both rummy and poker. Skills have an important role to play in both rummy and poker. While in rummy the players should have a strong grasp on key mathematical concepts, for rummy players require a lot of logical reasoning skills. In both these games, starting hand card is very crucial. Analyze the starting hand cards, and make a game strategy accordingly. 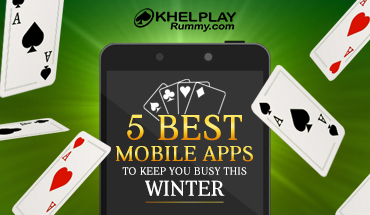 Rummy and poker both are available to play in web and mobile format. Once the winner is declared, both the games involve display of cards by all the players. Both these games offer tremendous opportunities to win cash prizes. In both the games, you arrange the cards in sets and sequences. Players have to assess and evaluate the cards that are dealt to them and play accordingly. Drop the game or continue playing, the decision can be taken as soon as the cards are dealt. Though rummy is easier to learn than poker, which is a little complicated in rules, both these games involve superior skills to stimulate your brain cells. Plus, you make a lot of assumptions in poker whereas in rummy observations and calculations take precedence. Regardless of the advantages and disadvantages, both rummy and poker are widely played and enjoy a cult following all over the world. While you may have a personal favorite, there are many who play both for fun and winnings.